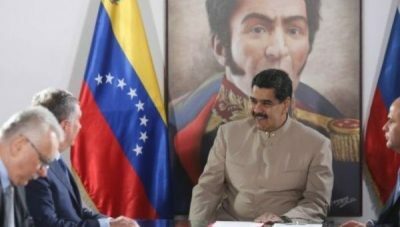 We are frequently told that people in Venezuela have no food, clothing or toilet paper, and that popular discontent with the left wing government is driven by real hunger. There are elements of truth in this story, though the causes of economic dislocation are far more complex than the media would have us believe. 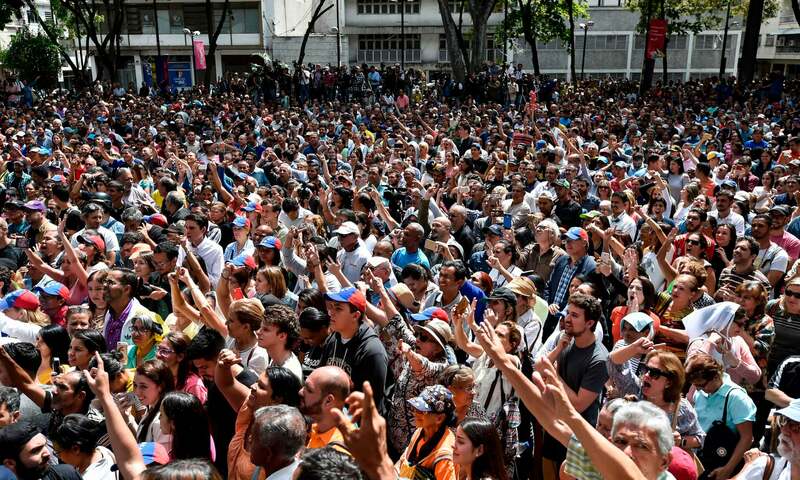 But I ask you to look at this photo of supporters of CIA poster-boy, the West’s puppet unelected “President” Juan Guaido, taken at a Guaido rally in Caracas two days ago and published yesterday in security services house journal The Guardian. Please take a really close look at the photo. Blow it up as big as you can. Scan individual people in the crowd, one by one. These are not the poor and most certainly not the starving. As it chances I have a great deal of life experience working amongst seriously deprived, hungry and despairing people. I know the gaunt face of want and the desperate glance of need. Look at these Guaido supporters, one by one by one. This designer spectacled, well-coiffed, elegantly dressed, sleekly jowled group does not know hunger. This group does not know want. This is a proper right wing gathering, a gathering of the nicely off section of society. This is a group of those who have corruptly been siphoning Venezuela’s great wealth for decades and who want to make sure the gravy train flows properly in their direction again. It is, in short, a group of exactly the kind of people you would expect to support a CIA coup. Those manicured hands raised in the air will never throw rocks, or get involved in violence unless against a peasant strapped to a chair for them. It is not this crowd which will suffer as public disorder is manipulated and directed by the CIA. These wealthy ones are immune, just as Davos serves as nothing but an annual reminder of how very poorly God aims avalanches. There is real suffering in Venezuela. The CIA is working hard to stoke violence, and the genuine poor will soon start to die, both in those egged on to riot and in the security services. But do not get taken in by the complete nonsense that this is a popular, democratic revolution. It is not. It is yet another barefaced CIA regime change coup. 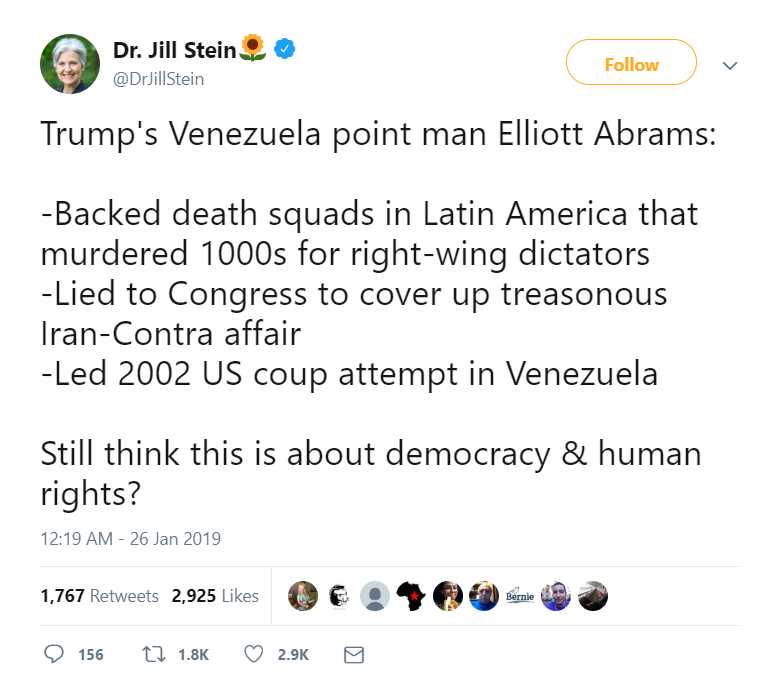 UPDATE Such wisdom as this blog finds is often crowd-source, and with thanks to a commenter below here is some useful information from Jill Stein.